It’s my absolute pleasure to recommend Miedema Auctioneering. 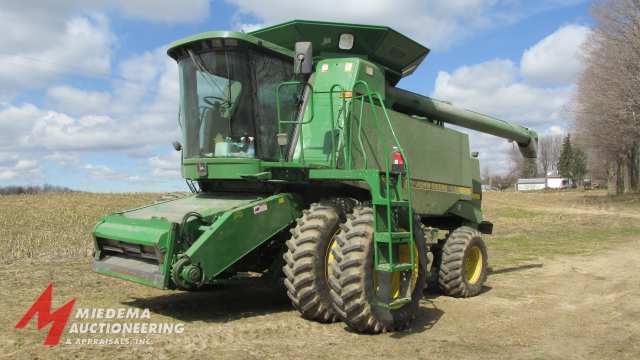 Sid Miedema and his crew did a fantastic job with our farm auction. They have excellent knowledge and expertise in the auction field. Everybody at Miedema’s were professional and easy to work with. Sid in honest, dependable, and incredibly hard working. Without a doubt, I would recommend Miedema Auctioneering for your auction needs. Sid Miedema will be beneficial to your auction to help bring top dollar for your items. "Sid, Thank you for agreeing to be our auctioneer again for the 26th year in a row. We are looking forward to another successful sale. I give a lot of credit to your company for the advertising that you do to draw in the customers for us. Not only the onsite crowd, but most of all the internet buyers. This is no longer the wave of the future, but a reality in today's market.  This allows us to reach the most buyers and get the most money out of what we are selling. Your entire crew, from start to finish, is the most professional of any company that we deal with. I recommend Miedema Auctioneering to anyone I talk to who is contemplating any type of auction. Thank you for all you do to help make our business a success." Paul Bader - President of Bader & Sons Co.
"Miedema Auctioneering, Inc. runs a top notch auction. Very happy with the whole process and auction. Highly recommended. 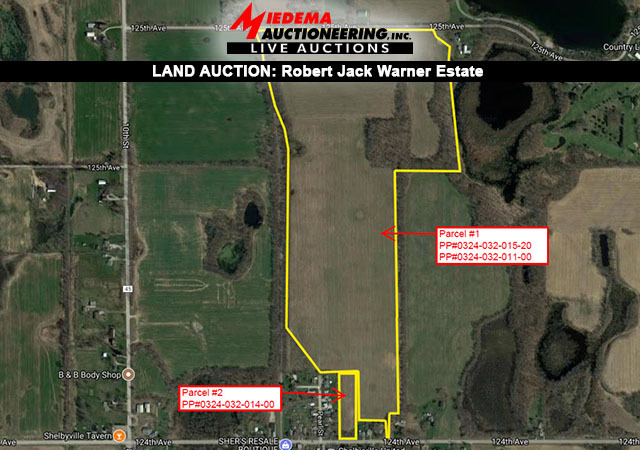 "In the beginning, I was nervous to sell me late father's farmland by auction, but Sid Miedema walked me through the process with clear details that gave me great confidence. Amazingly, the property sold for 40% OVER the appraised value. Of course, I am incredibly pleased with the selling price, but I'm also equally pleased with the ease of the sale. Miedema Auctions handled everything with grace and care - from advertising and arranging details with local governments, to planning the closing with the title company. Miedema Auctions truly know how to generate excitement for a property. I wholeheartedly recommend them." 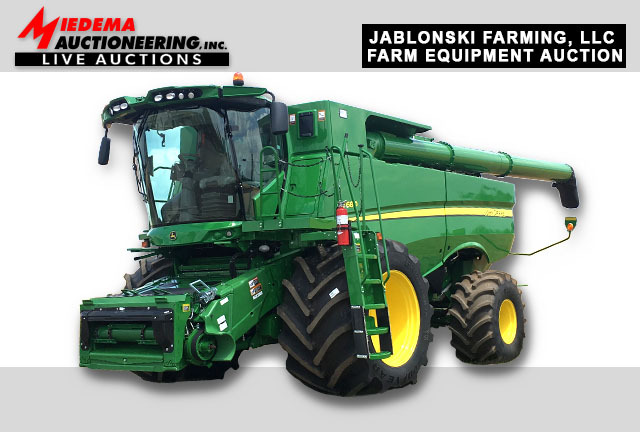 "Thank you, Sid Miedema and all of the Miedema Auctioneering, Inc. team. Thank you for your help on all the problems we faced on my property. The ones we knew about and those we did not. Your ability to solve these issues promptly and to advertise to the right people made this auction a success. I had a lot of doubt about how I should sell my property, and I’m very grateful that you’re the ones that handled this. I can’t thank you enough for all the work you and every one put into my auction, the professional manner in which the auction was held, and above all getting me the best price for my land. "We highly recommend the Miedema Companies and would not hesitate to engage with their services in the future." "I want to thank you for all your efforts in making the auction of my parents farm so successful. " "For me and my client, the employment of Miedema to conduct this auction was critical to getting the sale completed. 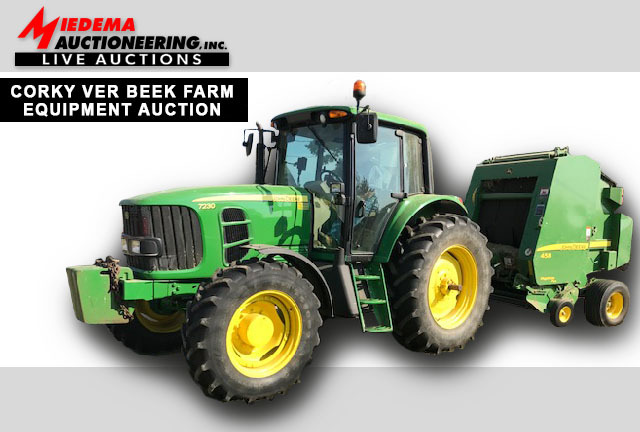 To a person, every employee of Miedema was helpful and understanding of the situation and willing to go the extra mile to make the auction sale successful. 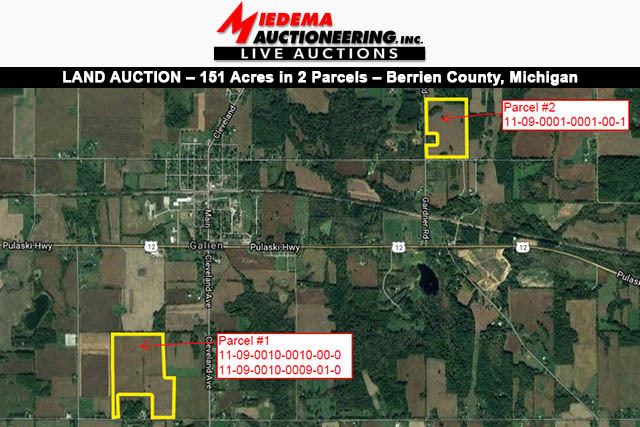 Miedema has been, and will continue to be, my “go to” auctioneers in Michigan." 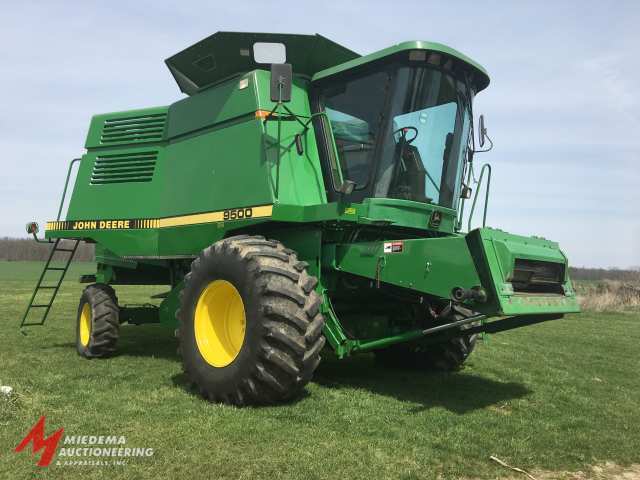 "Chuck and the staff at Miedema did an outstanding job keeping us informed of the status of the sale events. Chuck was down to earth and sympathetic to our feelings during my dads recent passing. They did an outstanding job!" 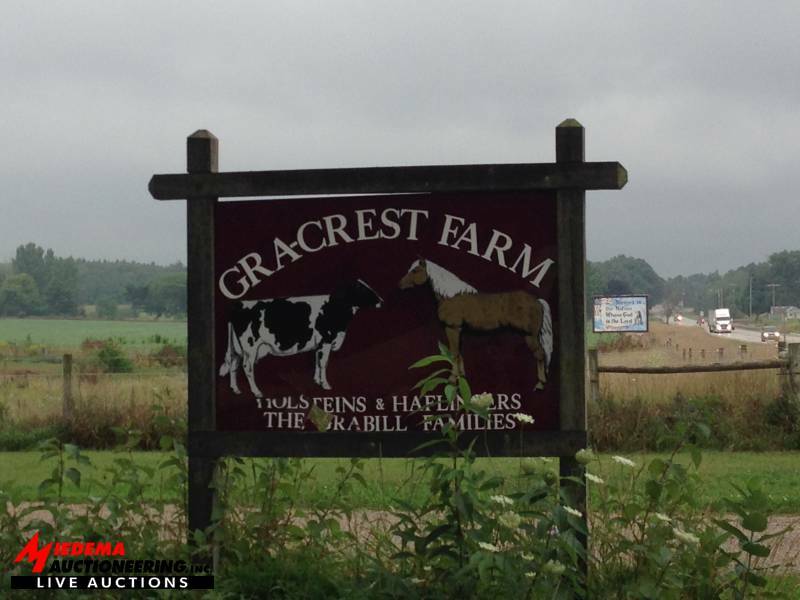 "Miedema Auctioneering conducted the sale of our parents farm to settle the estate. They worked with my family every step of the way in an organized and efficient manner. It was apparent right from the beginning that they knew what had to be done to sell the property, but were also very willing to consider our individual requests. I was impressed with the willingness of the staff to help with whatever question or problem arose and they always handled it quickly. The advertising was excellent and we were given updates regularly. The auction was conducted with professional excellence and the technology used helped the sale to run smoothly without confusion. The outcome of the auction was excellent. All in all I would say that Miedema Auctioneering exceeded my expectations and would highly recommend their service. " "Chuck & Ryan did a great job. The whole family was very satisfied. Thank You "
"10/10 Very Satisfied. Would absolutely recommend our services to a friend. "